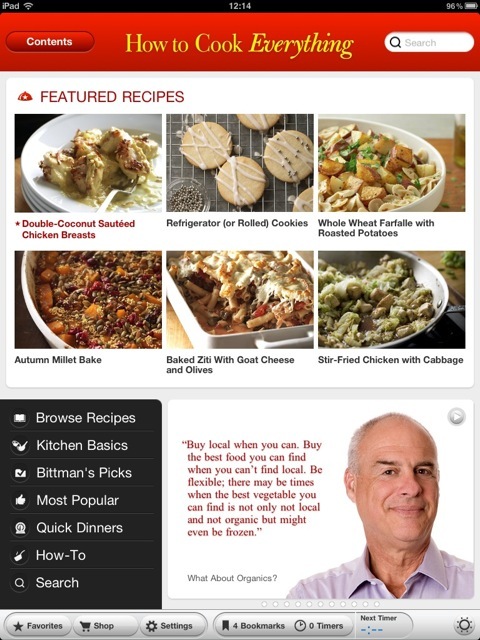 Time for a little self-promotion: In a recent roundup of the best cooking apps, food website the Daily Meal picked Culinate's How to Cook Everything app for the iPhone and iPad as one of its faves. Other winners included Jamie Oliver's 20-Minute Meals app and the Locavore app for selecting what's in season locally. Check out the Daily Meal's slideshow of winners — just remember to scroll down and scan the right-hand column for the rather hidden app descriptions.